2.4 What About The Occam? After seeing a deluge of rumors, leaks, and hoax after hoax this season, it looks like we're finally starting to wind down. With Google's Android event a mere 8 days away, it's time to clear away the muck and take a look at what we expect to make an appearance just a couple days before Halloween. Let's start with the stuff we're most confident in and work our way down, shall we? We were already fairly confident that the next version of Android would not be 5.0. While Google is inconsistent with its naming and number scheme, The company does tend to at least save full number releases for big changes (2.0 brought a huge face lift, Navigation and the Droid, 3.0 introduced tablets, 4.0 brought tablets and phones together under the biggest UI change yet). 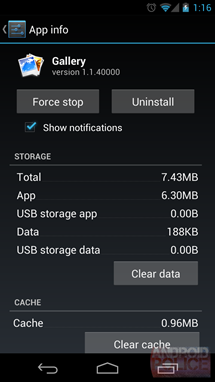 We've also confirmed via Ron's super sleuthing that this version will be called Jelly Bean as most apps identify themselves as either "4.2-[###]" or "JellyBeanMR1". 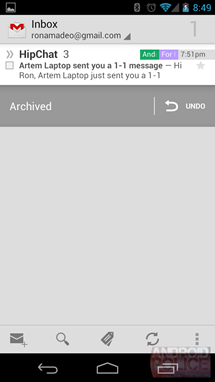 If you were around when we first posted this (and you're rooted), you might already be using it, but we know that the newest version of Android includes an upgrade to the Gmail app. Now, you'll finally be able to pinch-to-zoom on emails (oh, blessed be), as well as swiping individual emails to the side to archive or delete them. 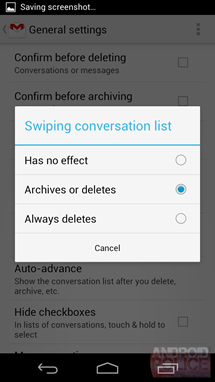 As Matias Duarte has said in interviews, he wants Android to see things not as lists of data, but as tangible things for your to interact with and gestures go a long way towards accomplishing that goal. This is certainly a welcome change. One of the first things Ron found in his teardown of the leaked system dump was a hidden, secondary shade. 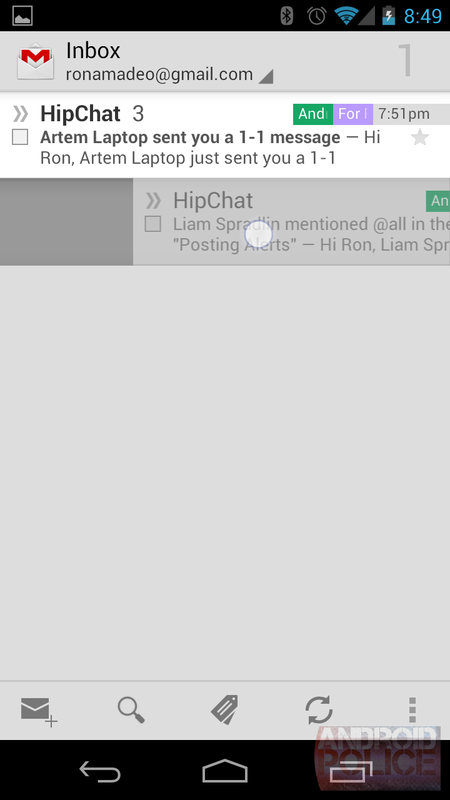 Swipe down once to reveal notifications, swipe down a second time to access something called Quick Settings. Of course, we have no idea what will appear here or how it will look. As of right now, there's only a placeholder image, but given that Ron thinks the build he has is at least a month old, we imagine that it won't be too difficult for Google to implement this before the end of October. 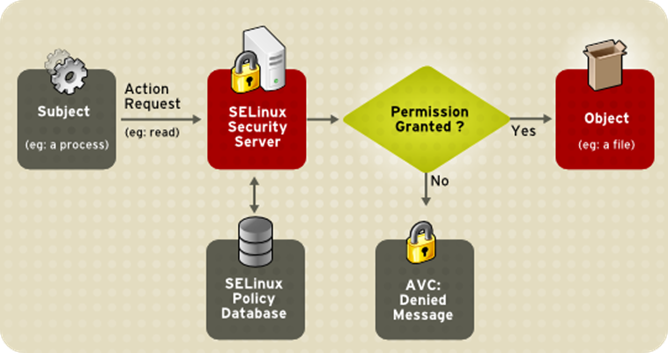 If things like SELinux or always-on VPN mean something to you, then you're probably going to have a very good day on October 29th. In part two of the 4.2 teardown, Ron found plenty of references to important security features for enterprise users. In addition, there looks to be a new feature that will prompt you whenever an SMS you're about to send could charge your account any money. This should make it much more difficult for text scammers to take advantage of you. Very nice. 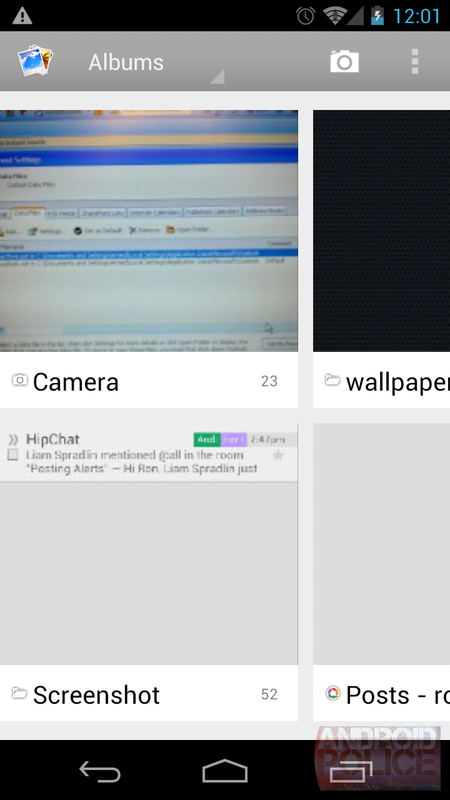 If you like the look of the newest Google+ app or Google Now, you're going to love the new Gallery. In what looks to be a continuation of the attempt to bring Android's design language under one cohesive roof, the app now features a brighter, card-like interface. 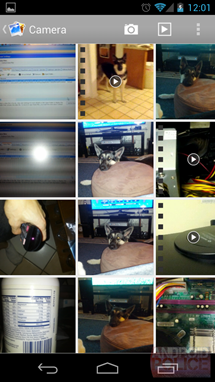 Additionally, both the Camera and Gallery apps have new placeholder icons in the system. While those icons themselves probably won't be making an appearance, Google will probably be providing updated versions of them. Hopefully ones that have something of a consistent height. We've known it was coming for a while, and it looks like we might be close to getting it. While code has existed supporting multiple user profiles dating back as far as 2011, both the level of progress we've seen, and other independent sources leads us to believe that it's not unlikely Google will finally implement this feature. It may initially be available only to tablet users under the name "Tablet Sharing" which, to be honest, makes a lot of sense. I share my tablet way more often than I share my phone and, as a larger, sometimes Wi-Fi only device with a bigger up-front price tag, tablets are more suited to being family devices than phones are. 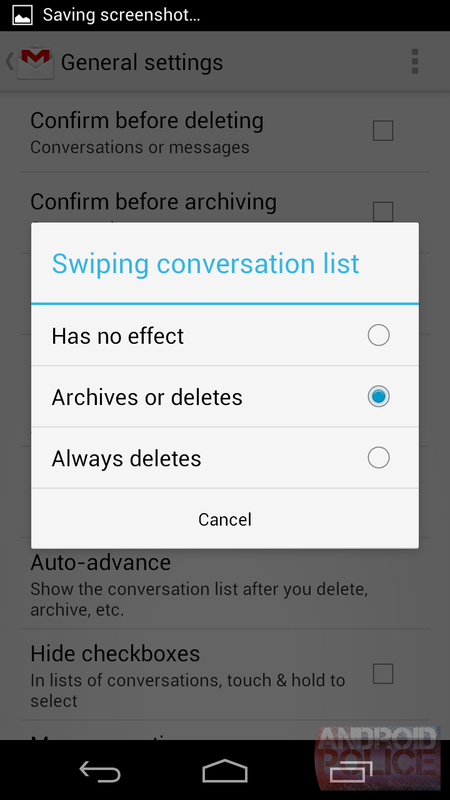 The argument could even be made that slates are the only category of Android hardware that needs this feature. Either way, though, it will be welcome. When Google first announced its card-based app, it was promised that we'd see updates to it. And we have! In addition to emphasizing gesture-based UI, Matias Duarte has also specified that Google Now is a platform. 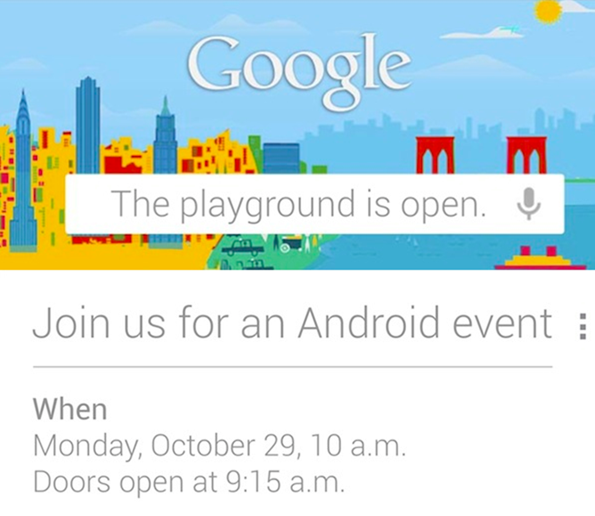 Given the intentionally extensible nature of the program, outside sources pointing to upgrades, and the fact that the event invite itself is designed to look like Google Now's landing page, I'd be pretty taken aback if there wasn't some new feature. It's worth pointing out that there are already indicators that things like hardware controls (toggling WiFi, Bluetooth, etc.) are being worked on, but "not yet supported". This may be on the list of things we'll see activated, but that's pure speculation. Seen here posing next to a stuffed parrot because that's what you do when you're a phone. Duh. These specs more or less line up with the guts of the Optimus G that David reviewed recently. We can probably also expect NFC and, if FCC documents are anything to go by, wireless charging will probably also be in the mix, confirming MoDaCo's source. If they're not enough to go by, Ron has also pointed out (though it never made it into an article), that the system dump he's been tearing down has references to wireless charging. That just about seals the deal there. We're all still holding out hope that there will be more than 8GB and 16GB options for storage and, if there is any spec on this sheet we'd have reason to doubt, it's that one, if only for common sense reasons. Still, it wouldn't be the strangest thing we'd seen on a Nexus phone (the 5MP camera on the Galaxy Nexus is still widely panned). We'll just have to wait and see. 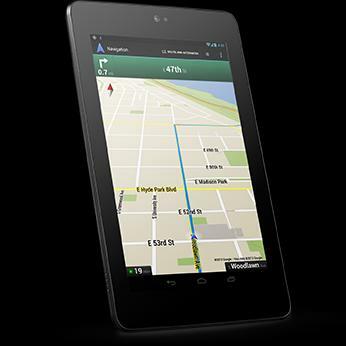 For starters, the 32GB Nexus 7 is real. This isn't a question. Some users have even had it mistakenly shipped to their house in place of a 16GB model, and virtually every single friggin' retailer on the planet has outed it in their systems. We can probably expect that this device will make its way to the stage next week. 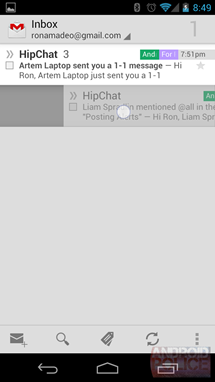 What is a little less certain, but something we'd still keep an eye out for, is a 3G version of the slate. We'd previously heard in early September that the device would arrive in "around six weeks." That would actually make it a little late at this point, however, it's not difficult to imagine that Google delayed the release for a week or two to put them all on one stage. A possible tablet form-factor that doesn't infringe any of Apple's design patents. 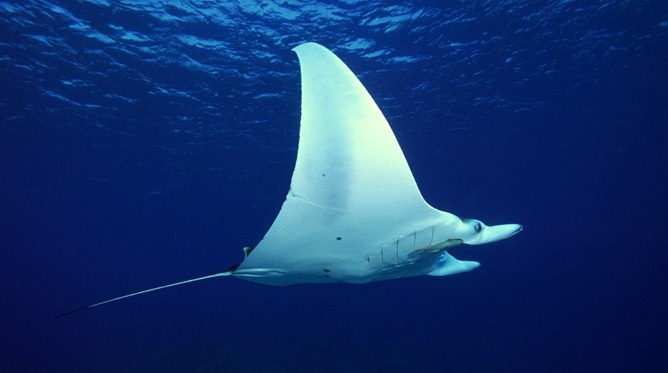 We've seen evidence of a larger tablet codenamed the manta floating around. Independently, we'd heard that Samsung was working on a 10.1" device with Google, with a mind-blowing 2560x1600 resolution for an iPad-trouncing 299 ppi. Finally, these two rumors come together—where else?—in our server logs when the 'Nexus 10' moniker decided to poke its head out of its shell. As of right now, the details on this slate are more scanty than the other rumors, but, call us hopeful, we would not be surprised to see this device come to pass. As it turns out, we're not the only ones. This one is a little more up-in-the-air, since we don't have much but conjecture and server logs to go on, but we do have evidence that a device with the codename "Occam" is running around with Android 4.2 on it. If we want to consolidate rumors, it would probably be simpler to say that this is the LG Nexus, however that device carried the codename "Mako." It's possible Google/LG gave it two codenames, but that's a stretch. Unfortunately, we don't have any other information on this device. We wouldn't put money on the Occam (possibly a Nexus RAZR?) putting in some face time at this event, but who knows? A totally hypothetical, not-at-all real look at what a multiple Nexus program might look like. So, you see what's happened here? Even ignoring the peculiar Occam anomaly, and without disrupting the usual patterns too much, we now have three separate Nexus devices from three separate manufacturers, all with a reasonable chance at being announced next week. Two, at least, we know for a fact exist, and the Nexus 10 has enough sources out there that, if it doesn't show up on the 29th, we can still probably expect it at some point. So, if you were expecting that the expanded Nexus program meant that HTC, Sony, LG, Samsung, and Motorola would all have their own Nexus phones, and then there would also be tablets...well, it's not impossible, but there sure is a giant lack of evidence for that. 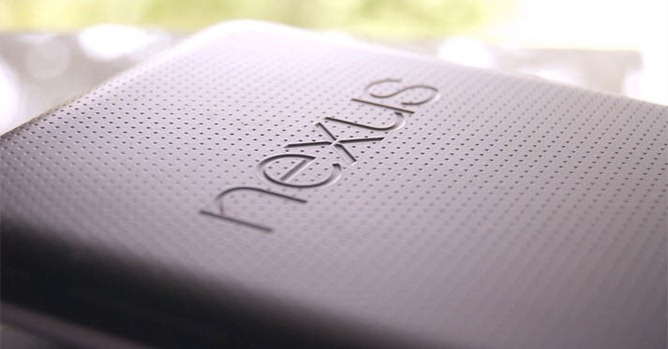 However, we do see a suite of Nexus devices. And, wouldn't you know it, the earliest reference to the multiple Nexus lineup came from the Wall Street Journal back in May. 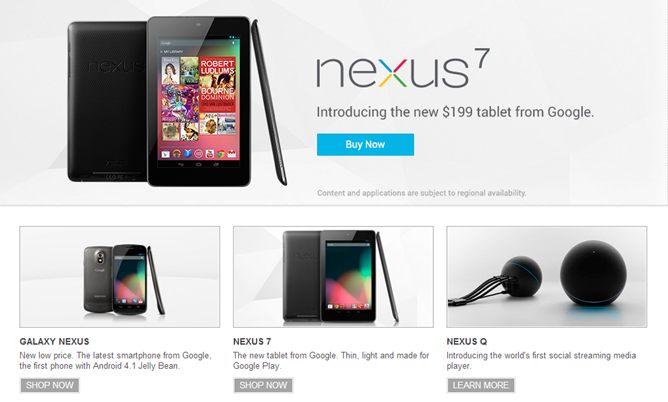 Just a month before the announcement of the Nexus 7. In a small way, that rumor has already been fulfilled for months. We just didn't know it yet. Nor how much more the program might be expanded. We wouldn't be surprised to see the Galaxy Nexus stick around for a bit (though low sales numbers might make that questionable), but even if it doesn't, LG, ASUS, and Samsung, as well as the possibility of a fourth device, could all be represented on the Play Store very soon. The truth always seems to land somewhere between optimism and doubt. For starters, we absolutely know that things like the Customization Center and Project Roadrunner were part of an elaborate hoax. Just to indulge a bit, though, why shouldn't we expect Google to do something like the Customization Center anyway? After all, there sure are a lot of us who hate custom skins and want them to go away, right? Well, maybe not. For starters, while we, the Android die-hards, are avidly against the idea of manufacturer skins, we also have to realize that we're the minority. By a pretty huge margin. Whether it's because most people aren't aware of stock Android or just don't care, things like the Galaxy S III outsell the Galaxy Nexus to the tune of millions. In fact, the Nexus 7 might actually be the biggest hit the Nexus line has seen yet. That is not proof that everyone loves skinned Android, but if everyone is voting with their wallets, then so far stock Android has not managed to beat the bloat for mindshare. 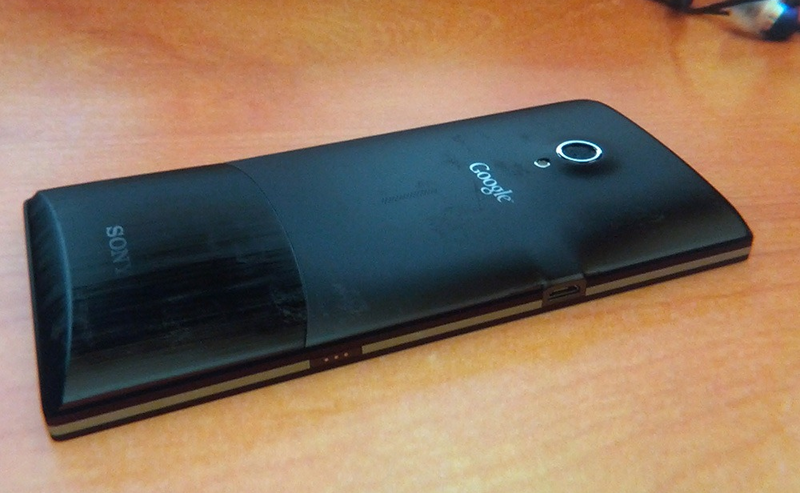 That being the case, Google is likely very unmotivated to push manufacturer skins out. As of January of this year, it's required that the Holo UI elements be made available so that app developers can have a consistent look and feel, but that is so that developers have the choice, not so that choice is removed from manufacturers. Duarte has stated before that making it possible to remove skins is something that would be difficult to do now, but not inconceivable in the future. However, the company would "never do anything that would discourage that choice or prevent OEMs from having that kind of flexibility". As nice as the Customization Center idea might be, we'll have to accept that it will be a long time before we see something like it, if we ever do at all. Project Roadrunner, which was the completely made-up feature that purported to ensure battery life across all devices in the same way that Project Butter would ensure speed, is similarly likely not to be in the works. Of course, Google will want to push to make devices last longer (in fact, this is one of the things that the new Motorola CEO suggested is a priority for its future phones), however ensuring your handset lasts all day is as much tied to hardware drivers, which Google has little control over, as it does the system itself. An OS-level layer that sets a minimum bar for battery life is likely something that's simply not feasible. Don't expect this, unless you like to be disappointed. 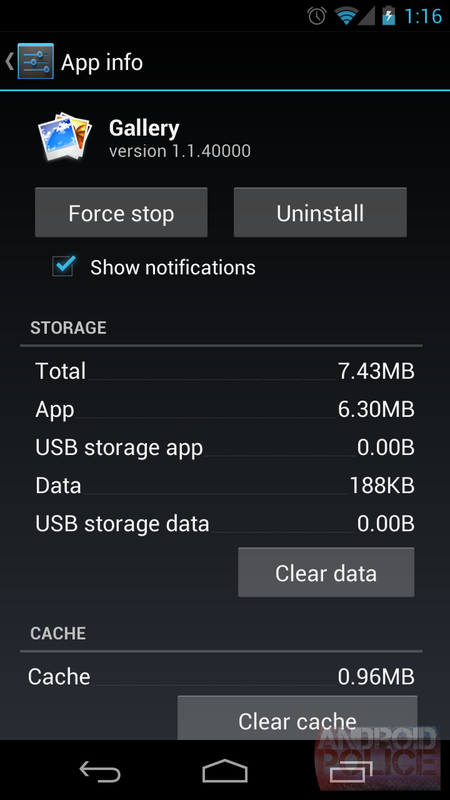 Also in the category of things you probably shouldn't count on is a Sony or HTC Nexus device. While it's not impossible (we do still have that Occam hanging around not saying much), the Sony leaks have been faked and most HTC rumors have been centered around the J Butterfly or American variations thereof. Motorola isn't doing too much better in convincing us that it has a Nexus in the pipe, aside from the pun with the Occam name, but down here at the bottom of the hope barrel, we'd rank Moto just a hair above Sony or HTC in terms of likely attendees at the event. Of course, none of this is guaranteed, but this is what we think is most likely given the amount of evidence, the variety and reliability of sources, and the general consistency with previously established patterns. Even if half of what we've covered here is true, though, it's sure to be a good day. And, just as predictably, we're sure the lawsuits over what's going to be announced are already being planned.